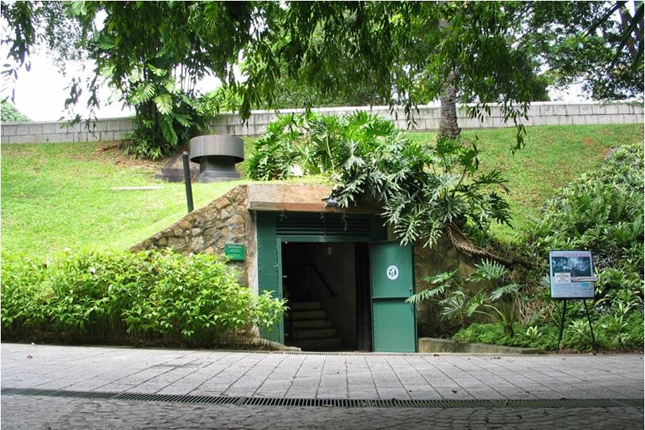 The Fort Canning Command Centre occupied the top of Fort Canning Hill. It included an office building that housed the headquarters, and barracks situated on the other side of the hill. In addition, the Battle Box, a bomb-proof underground bunker was located between the Centre and the barracks. At the time of completion, the Fort Canning Command Centre was the largest military operations complex in Singapore. It served as the headquarters (HQ) of Malaya Command and had a wide area of responsibility all the way from Singapore to Hong Kong. Just before the war started, the HQ was shifted to Sime Road Camp where a unified command headquarters was established with the Royal Air Force. However, due to heavy machine gun fire near Sime Road Camp during the battle for Singapore, the HQ was shifted back to Fort Canning on 11 February 1942. The Battle Box was used as a venue for the British to plan their military operations til their surrender to the Japanese. 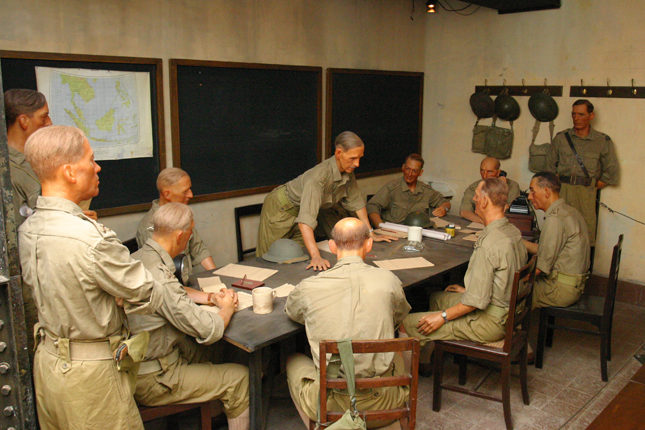 The decision to surrender in Singapore was first made by the Allied commanders in the Battle Box. On the aftenoon of 15 February, Percival and a delegation of Senior Officers left for the Ford Motor Factory in Bukit Timah, HQ of Liutenant General Yamashita, where they surrendered unconditionally to the Japanese and marked the start of the Japanese Occupation in Singapore. During the Japanese Occupation, the Command Centre was converted into the headquarters for Major General Saburo Kawamura. The Battle Box was largely untouched with the possible exception of the signals room. After the war, the Indian Army's 5th Division reoccupied the Battle Box for the returning Allied Forces. Over time, it was neglected and forgotten. 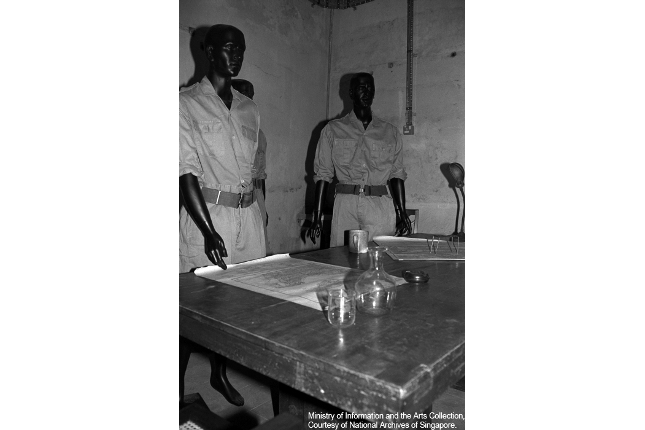 However on the 31st of January 1992, it was reopened to the public (tourists and locals) to educate them on the events leading up to the surrender of Singapore during World War II.